Hyundai launched the 2018 Hyundai Sonata (facelift) in the Middle East in August this year. 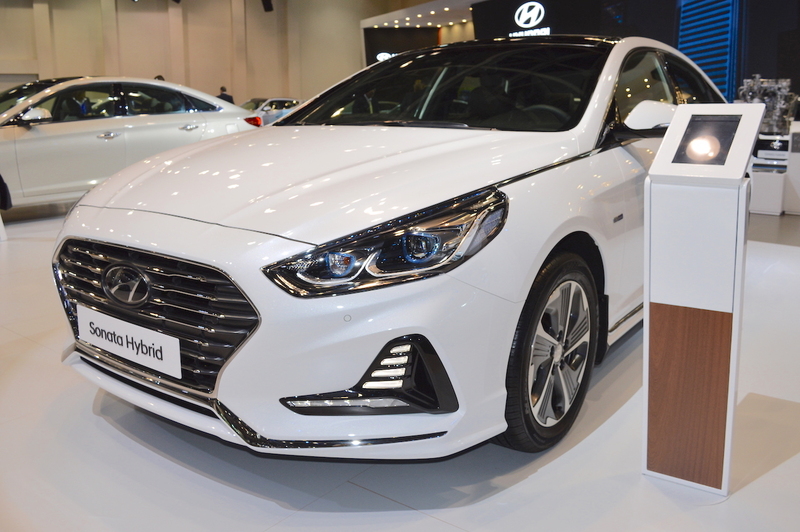 Now, at the 2017 Dubai Motor Show, the company is displaying the 2018 Hyundai Sonata Hybrid (facelift). 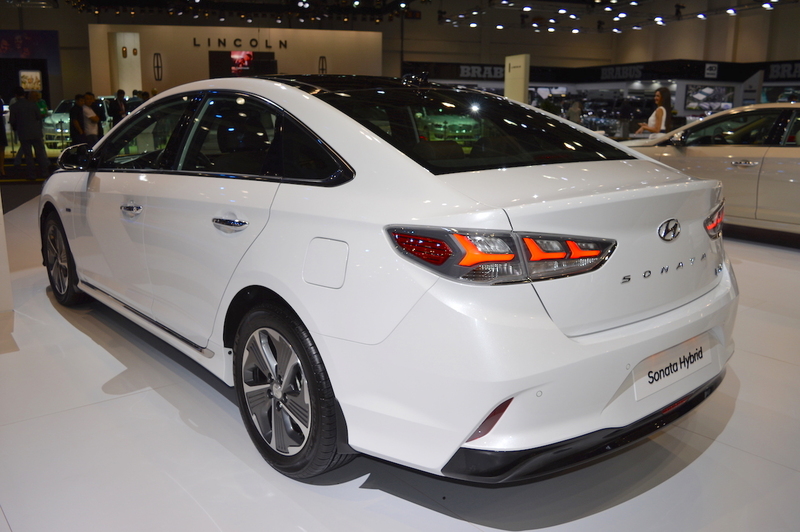 Hyundai launched the 2018 Hyundai Sonata Hybrid in South Korea just back in May this year. The facelifted Hyundai Sonata Hybrid is 4,855 mm long, 1,865 mm wide and 1,475 mm tall. Its hybrid powertrain consists of the 2.0-litre GDi petrol engine and an electric motor. The former produces 156 PS at 6,000 rpm and 19.3 kg.m (189.27 Nm) of torque at 5,000 rpm. The electric motor generates 51 PS from 1,770-2,000 rpm and 205 Nm of torque at 1,770 rpm. A hybrid-exclusive 6-speed automatic transmission is standard. With the mid-cycle refresh, Hyundai has increased the battery capacity of the Hyundai Sonata Hybrid from 1.62 kWh to 1.76 kWh. That is an improvement of 8.6%, aimed at increasing the car’s efficiency. The company has introduced individual ventilation system, in which only the driver’s seat is partially cooled and heated. This change is also for increasing the efficiency. The fuel economy is up from 18.2 km/l to 18.7 km/l in the new model. The Hyundai Ioniq hybrid is available in UAE now. It’s unknown whether the company plans to offer the Hyundai Sonata Hybrid also or not.